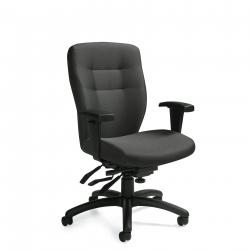 2739 Upholstered Posture Back. Mayer Turnabout, Taupe (YG14). PN2760NCL and PN2760NCR 27" High Narrow Credenzas. Tiger Maple (TMP). PN3072DM Freestanding Desk with Metal Legs. Tiger Maple (TMP)with Tungsten (TN) legs. PN1920ST Mobile Stool. Tiger Maple (TMP) with Mayer Turnabout, Taupe (YG14). Working together has never felt better. Enjoy the view and leave the work cubicle behind with Princeton's progressive and personalized workstations that define 'your place' without the walls. HAT3048 Foli Rectangular Table. White (WHT) with Tungsten (TUN) legs. 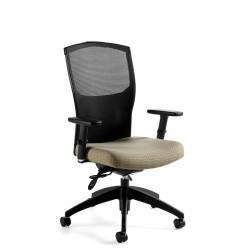 6008 High Back Synchro-Tilter Mesh Chair. Allante, White (A48E). PN2372CO 23" High Open Credenza. White (WHT). PN2372CRD and PN2436CU 23" High Double Credenza with two Cushions. White (WHT) with Momentum Tate, Capri (YGK2). Off desk accessories can be quickly and easily repositioned along the optional panel mounted rail. Off-Desk Accessory Bars are at 36﻿" - 40"H.
Panels can be configured freestanding to divide spaces and provide privacy or be combined with coordinating desking and storage components. For additional convenience and customization, eO+ panels are available with corkboard insets, dry erase modules, and glazed inserts. Frosted Plexiglas (FPG) with Tungsten 2 (TU2). Change it up and elevate your work surface. Getting on your feet for part of the day is a healthy solution if you have long hours of dedicated computer work. MON1SDEH Single Screen Single Extension Arm with Height Adjustment. 9PT5-3FR and 9PT5-3FL Personal Tower, 3 File Drawers. Grey (GRY) finish. 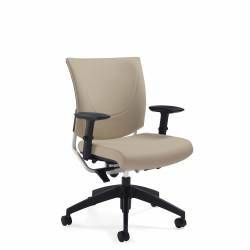 5081-3 Medium Back Multi-Tilter.Designtex, Flux (FU32). 9330P-2F1H 2 Drawer Lateral Files. T1830 Lateral File Tops. Grey (GRY) tops with Grey (GRY) finish. 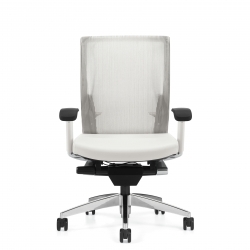 Integrated metal storage and desking for the most demanding environments. Maintenance, service and transaction environments present their own unique challenges. An efficient workspace and contemporary look is possible even when the going gets really tough. 1961-5 High Back Operator. Momentum Ohs, Warmth (OH12). MON1SSEH Single Screen Single Extension Arm. Divide’s fabric and glazed panels have built-in rails to accommodate optional off-desk accessories that help organize work station paperwork and everyday office essentials. Depending on office needs, individual work areas can be created to be semi-private using glazed panels or visually private using laminate and fabric panels. Frosted Glazing (GC) and Jenny, Russet (JN04) with Silver (SI) finish. Define your space and still stay with the team. Correlation with Divide keeps the team together with the familiarity and features of a closed office environment. PN1160DS Desktop Storage with Glass Doors. Winter Cherry (WCR). PN3072OMR Overlapping Return with Metal Leg. Winter Cherry (WCR) with Tungsten (TN) leg. PN2360NCR and PN2433CU 23" Narrow Credenza with Cushion. Winter Cherry (WCR) and White (WHT) with Momentum Tate, Capri (YGK2). Get out of the box and share a little of what you know with the person next to you. It's a great way to mentor new hires or feel a part of the team if you just came on board. Princeton is the newest member of our laminate desking products and it is all about making 'your' place a great place to work. Reception station. Winter Cherry (WCR) with White (WHT) tops. Z36L2XNSL 28" Mixed Tower Storage with Collator Option, Brushed Colbalt. Winter Cherry (WCR) and White (WHT) top. Tops are available in 1" or 1 1/2" thickness with a variety of edge details to choose from. Winter Cherry (WCR) with White (WHT) tops. Create a work environment that meets your worksurface needs and storage requirements with over 370 components. Winter Cherry (WCR) with Frosted Glazed doors and Silver frames. Z24L2ESHR 29" End Shelf, Right.Winter Cherry (WCR) and White (WHT) top. Small footprints with room to work. Zira has storage options with over 370 components to make the most out of even the smallest of spaces.